The concept of conscience is often misrepresented. People think their feelings and preferences are conscience. So, if a person doesn’t see anything wrong with a behavior, he thinks he is “obeying" his conscience, when he follows his impulses. Then, when someone suggests that he is doing wrong, he gets angry and accuses the other person of pushing their beliefs on him and demands that people respect his “conscience.” Under this view of “conscience,” sociopaths and war criminals can appeal to it to justify their actions. Since society can’t survive under that way of behaving, people have turned to the government, expecting it to make laws mandating how we should behave. People who agree with what the government decrees, hail it as good. People who disagree accuse the government of violating rights. 1777 Moral conscience, present at the heart of the person, enjoins him at the appropriate moment to do good and to avoid evil. It also judges particular choices, approving those that are good and denouncing those that are evil.49 It bears witness to the authority of truth in reference to the supreme Good to which the human person is drawn, and it welcomes the commandments. When he listens to his conscience, the prudent man can hear God speaking. Far from being a feeling, conscience judges our actions as good or evil, warning us to do good and avoid evil, and judging us when we fail to live up to it. It may tell us to go against what our feelings and preferences urge us to do. Whether it is laying down one’s life in martyrdom because conscience tells us we cannot deny Our Lord, or acting against what our friends urge because we think they are wrong, conscience pushes us away from what we want in order to do what is right. [T]hat every man in the State may follow the will of God and, from a consciousness of duty and free from every obstacle, obey His commands. This, indeed, is true liberty, a liberty worthy of the sons of God, which nobly maintains the dignity of man and is stronger than all violence or wrong—a liberty which the Church has always desired and held most dear. Claudia Carlen, ed., The Papal Encyclicals: 1878–1903 (Ypsilanti, MI: Pierian Press, 1990), 178. Even if the government refuses to grant the freedom of conscience, we still have an obligation to do what is right in the eyes of God (see Acts 5:29). Many of the faithful have been martyred for making this choice. But I think we Western Christians have lost sight of this. Early saints often had a choice of denying Christ and living, or affirming belief in Him and dying for it. The faithful followed their conscience despite the heavy cost, and were faithful to God. That is something our feelings and preferences protest against. The price of obeying conscience can be high, but we’re called to follow it anyway . . . But we must remember: conscience is not an infallible guide by itself. A person who never has the opportunity or the interest might believe evil things are good, or good things are evil. We must form our consciences according to truth. This goes along with our obligation to constantly seek out and follow the truth. Since we are Christians, we believe the truth centers on God. Since we’re Catholics, we believe that the Church teaches because God has given her the right and duty to teach. So Catholics, if we want to be faithful, have to look to the Church to form our conscience. If the Church condemns what we are okay with, that is a good sign that our conscience has gone wrong. In such a case we need to look to the Church to re-form our conscience and live rightly. If we choose to ignore this obligation, we choose wrong. Tragically, I have seen people argue that Church teaching violates conscience when it forbids certain acts as against Catholic belief. People accuse bishops of violating conscience when they condemn the evils one favored party endorses as a right or condemns the vicious customs of a nation. People protest that since they see other evils as worse, the bishops are coercing them into doing something they see wrong. 38. Finally, argumentation appealing to the obligation to follow one’s own conscience cannot legitimate dissent. This is true, first of all, because conscience illumines the practical judgment about a decision to make, while here we are concerned with the truth of a doctrinal pronouncement. This is furthermore the case because while the theologian, like every believer, must follow his conscience, he is also obliged to form it. Conscience is not an independent and infallible faculty. It is an act of moral judgement regarding a responsible choice. A right conscience is one duly illumined by faith and by the objective moral law and it presupposes, as well, the uprightness of the will in the pursuit of the true good. 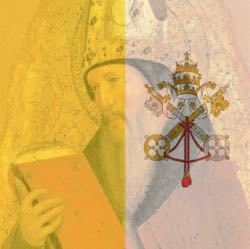 The right conscience of the Catholic theologian presumes not only faith in the Word of God whose riches he must explore, but also love for the Church from whom he receives his mission, and respect for her divinely assisted Magisterium. Setting up a supreme magisterium of conscience in opposition to the magisterium of the Church means adopting a principle of free examination incompatible with the economy of Revelation and its transmission in the Church and thus also with a correct understanding of theology and the role of the theologian. The propositions of faith are not the product of mere individual research and free criticism of the Word of God but constitute an ecclesial heritage. If there occur a separation from the Bishops who watch over and keep the apostolic tradition alive, it is the bond with Christ which is irreparably compromised. Congregation for the Doctrine of the Faith, Instruction on the Ecclesial Vocation of the Theologian (Donum Veritatis) (Vatican City: Libreria Editrice Vaticana, 1990). If the bishop does not teach, then he is not demanding our assent and he is not violating conscience. If an individual bishop teaches error, his claims are not binding. But, in that case, the one who decides the proper interpretation of Church teaching is the present Pope and the bishops in communion with him—not the individual Catholic. Neither the radical traditionalist who scours over 16th century documents nor the modern dissenter who scours Vatican II documents can interpret Church teaching against the Church. St. John Paul II, Ecclesia Dei, 1988. If one is a Catholic, one can’t claim to be faithful while refusing to obey the magisterium. A Catholic badly educated in the faith might misinterpret what Church teaching means, but once the Church says “This is what we mean,” we can no longer insist on our interpretation against the shepherds who teach. The link of conscience and the teaching of the Church is serious business, and not a matter of legalism. Because we believe in God and believe Jesus Christ established the Catholic Church to carry out the Great Commission and teach the world in His ways (Matthew 28:18-20). We can’t say our preferences are better than the Church teachings. We believe that God bestows great graces through the Catholic Church, and with these graces, we have no excuses that a non-Catholic might have. As the Vatican II document Lumen Gentium [#14] teaches, “If they fail moreover to respond to that grace in thought, word and deed, not only shall they not be saved but they will be the more severely judged." If the Church were nothing more than a human institution, the demand of assent would be tyranny. But to those who believe the Catholic Church was established by Our Lord, Jesus Christ, we have faith that what she teaches in matters of faith and morals is backed by God’s authority. To rebel against those whom God gives authority is not a sign of sanctity. It’s a sign of pride.